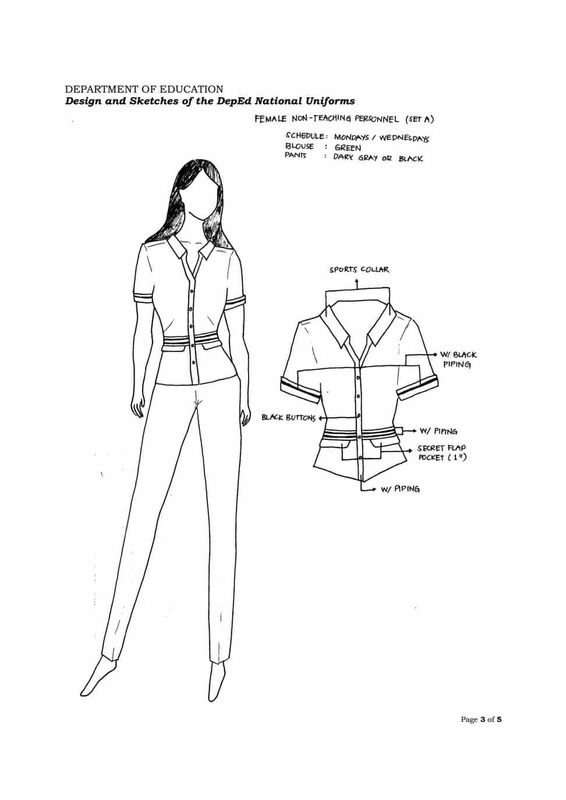 The textile materials to be used in the uniform should be a combination of polyester, rayon, and cotton. 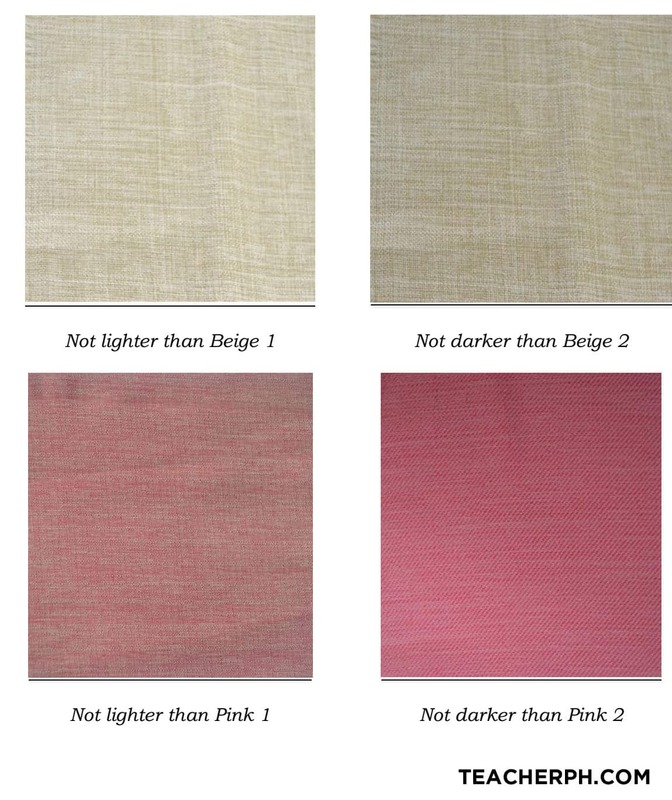 The color specification of the uniforms will be limited to a range of two colors. The details are contained in Enclosure No. 1. For better appreciation, designs and color specifications can be downloaded. The schedule of wearing the uniforms is contained in Enclosure No. 2. The effectivity of wearing the prescribed uniform will be on August 1, 2016. Said uniforms shall be used for School Years (SYs) 2016-2018. Only the approved national uniforms should be used by both teaching and non-teaching personnel. There shall be no regional and schools divisions uniforms to have uniformity across all offices. 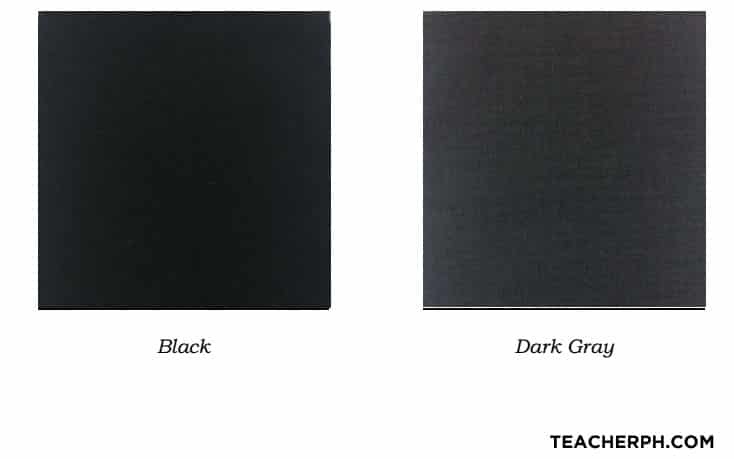 The teaching and non-teaching personnel from central, regional, division and district offices, and public elementary schools are free to purchase and obtain the prescribed uniform materials from any available source that comply with the standards set. Bulk buying of fabric is prohibited. Those who have authority over teachers and any DepEd official found violating this rule shall be subject to appropriate sanctions and disciplinary action. All concerned must send to the DepEd Central Office (CO) a written report of any DepEd official who compels or coerces teaching and non-teaching personnel to purchase the uniform materials from a specific source, including the official himself/herself. 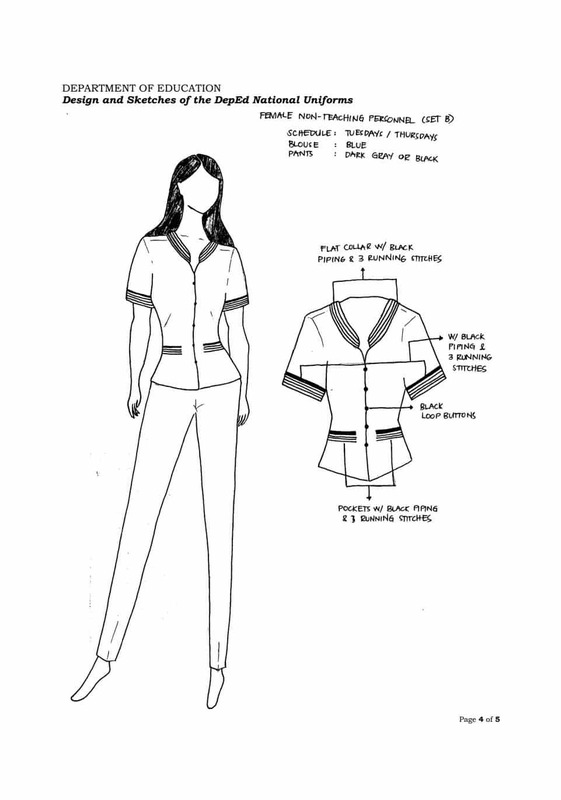 Modifications or adjustments on the prescribed uniforms (e.g. 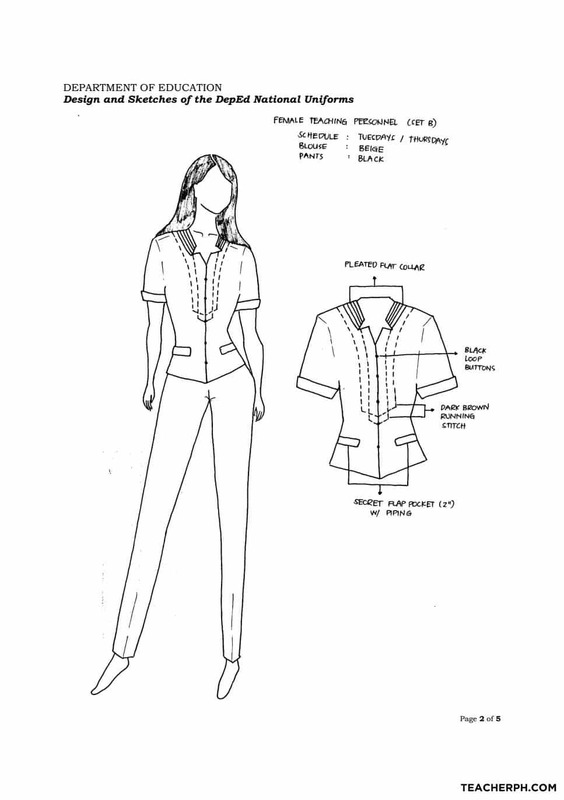 long sleeves instead of short sleeves, skirts instead of pants for the female employees) to conform with religious, social, and cultural requirements or any legitimate practice related thereto shall be allowed. This Office wishes to reiterate and inform all concerned that it has not endorsed, accredited nor authorized any particular supplier to approach the regional and division offices declare himself/herself as the exclusive distributor of the textile materials for the DepEd uniforms. Any uniform supplier who visits DepEd offices and uses the name of the undersigned or of any official in the CO in trying to get a deal for the supply of the DepEd uniforms must be reported to the Office of the Secretary. (Attention: National Uniform Committee). Non-compliance to and deliberate defiance of this Order shall be dealt with administratively pursuant to Section 22.C (Violation of Reasonable Office Rules and Regulations), Rule XIV, Revised Omnibus Rules Implementing Book V of the Administrative Code of 1987 (Executive Order No. 292). c. Enclsoure No. 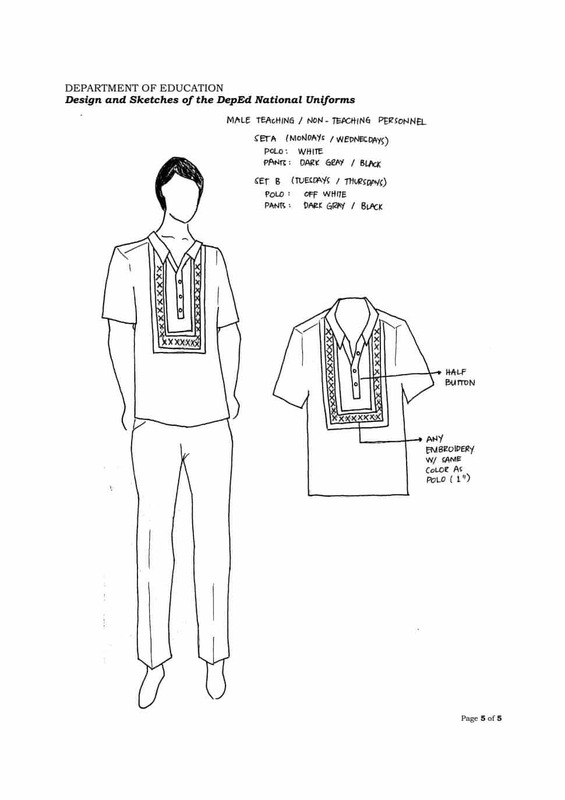 3 – Design and Sketches of the DepEd National Uniforms. Note: Appropriate office clothes may be worn on Fridays. 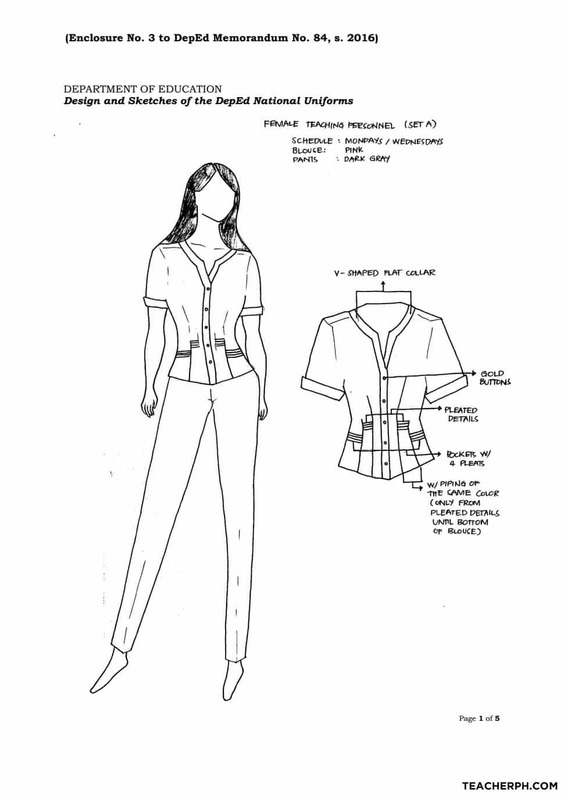 is there any prescribed uniform for senior high students? thank you very much for good information. ang asbi ang second set ng male uniform is OFF WHITE, pero dun sa color specification nakalagay NOT LIGHTER THAN BEIGE 1 and NOT DaRKER THAN BEIGE 2, ANO BA TALAGA? BEIGE OR OFF WHITE? kasi pag sinabi mong off white hindi sya BEIGE. so wag syang i compare dun sa beige. Ang OFF WHITE ay parang white lng din na naluma ang kulay. To the new president, please listen to our plea. Thank you!